First Draft of inception deck - honing in on the following: final deliverables, priority of final deliverables, timeline, goal-setting, stakeholders. SINs 2016 paper (Smirnov, Easterday, Gerber, 2016). Practice presentation. Delta Lab 5/23 - give Gulu feedback on her poster! I would love feedback on clarity and alignment between the sections. Review designs for the Sprint tab on the project page. These are the designs for the first iteration of the Sprint tab. The idea is to create a "version 1", very simple for development and testing. Another goal is to encapsulate the features so they can easily be turned on/off. YS's presentation on delays, trust, and failure in delivering rewards. The goal is for this to inform the design a tool to reduce this problem. Julie's HCOMP practice talk!! The talk is at HCOMP - human computing. People who study crowdsourcing. 50% do more experiments and AI studies - what, people? People are for computers. The other 50% is for people who are do get people and user studies. Let's talk about how we can simply market the Goals feature and provide analytics on how well Goals are working. We are reviewing the latest revisions for Guides/Goals Authoring UX Design. These designs take into account the feedback from our session during the last Loft meeting. We will have a follow-up Q&A session at tomorrow's meeting. Hey Studio! We could really use some feedback on our white paper! Thinking about new ways to do a live feedback & critique session following a demo. This is the QA process. How can we build self-efficacy and motivation in team members through badging on the Loft? HCW build effective systems for Crowd Feedback? Does it work better than other feedback? How can we design an online platform for civic innovation projects? 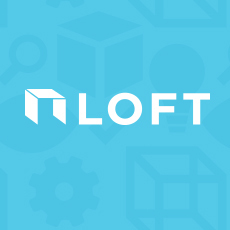 How can we help LOFT users (design students and youth journalists) connect across communities / studios and produce shared artifacts about the social problems they want to address with their projects? How might we collaboratively scope problems?